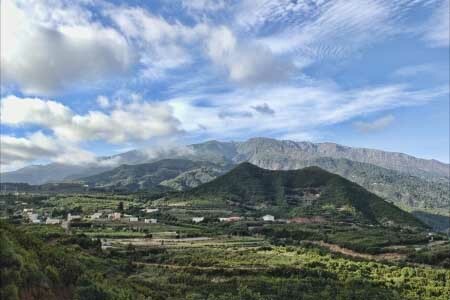 Discover what to see and do in the municipality of Puntallana, in La Palma. 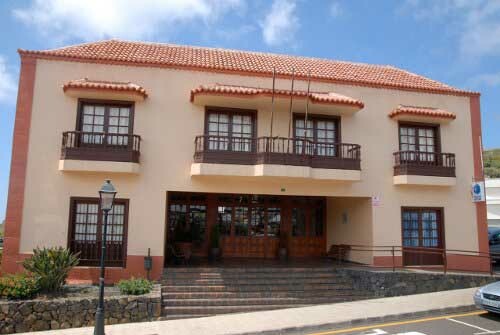 Puntallana is located between the municipalities of Santa Cruz de La Palma and San Andrés y Sauces on the east slope of La Palma in the Canary Islands, only 18 kilometers from the airport and 10 from Santa Cruz de La Palma. The most important locations in Puntallana are: Tenagua, Santa Lucía, el Pueblo, el Granel and La Galga. This lovely town expands from the sea to the highest peak forming a fertile lands triangle. This town will capture your attention to its steep ravines where you might observe natural incredible landscapes. It’s important to mention that Puntallana has one of the most important leafy regions in La Palma known as Cubo de La Galga. Puntallana is a municipality with a notable agriculture tradition. The most important plantations are cereals, especially wheat, which allow the production of bread and roasted maize. On the coastal areas you might enjoy a lovely panoramic view over the ample banana plantations. The most important festivities in Puntallana are the La Cruz festivity in the borough of Granel during the month of may, the San Juan Bautista, during the 24th June and the San Bartolomé on the second fortnight of August. If you’re around this municipality don’t avoid visiting the following sites: Cubo de La Galga, the Puntallana Old City Centre , the Casa Luján Museum, the Nogales Beach, the Puerto Trigo Beach and the Cala de Martín Luis.